It is a great honour to have been asked to open this exhibition today: it is a rare but not unique experience to be asked to open an art exhibition, but it is always a great pleasure. As an historian I have always appreciated the way the humans interpret their present through art forms which always adds a layer of understanding that letters, diaries and other written sources cannot. The arts in any form are crucially important to society and to humanity. As a broadcaster I have been able to see at first hand that this human attribute has marked us out from other animal species for over 40,000 years, when for a TV programme I was able to look at the post-Ice Age cave art at Creswell Crags. Moreover, at times of great crisis artistic endeavour has not only continued but has lent another dimension to our understanding of such societal traumas as war and famine. It remains to be seen yet what artistic endeavour will contribute to this unparalleled period of crisis we have inflicted on ourselves. I have no doubt that the artistic output of this period it will be of greater lasting benefit to humanity than the political history of our ‘interesting times’. For creative artists of all genres our times are somewhat confusing. On the one hand, never has there been a greater appreciation of the contribution which the arts make to the nation’s economy: but the willingness of the country to train its young artists remains threatened. This very week (January 6-12th, 2019) the language used to describe such training include charges of misleading potential students and descriptions of creative degrees as low value. 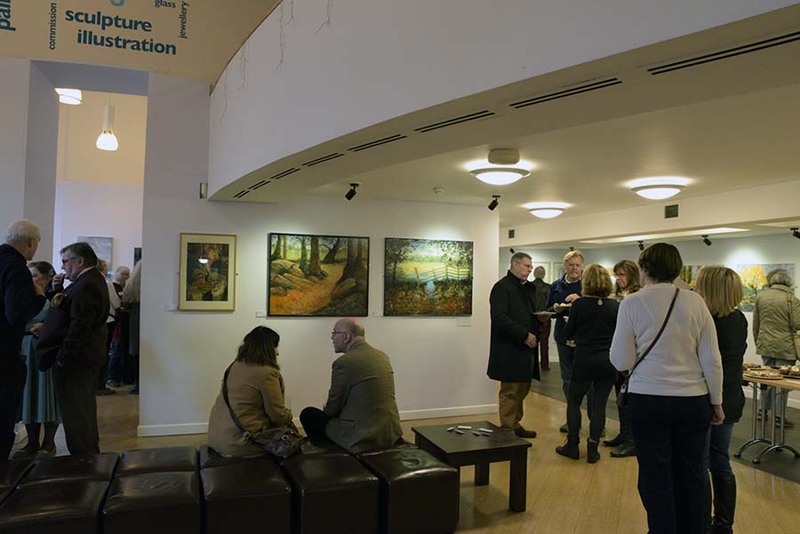 Value, as Oscar Wilde had it is often mistaken for ‘price’: we all need to fight for the true recognition of value – exhibitions such as this, in the heart of a vibrant community can be seen as part of that fight! 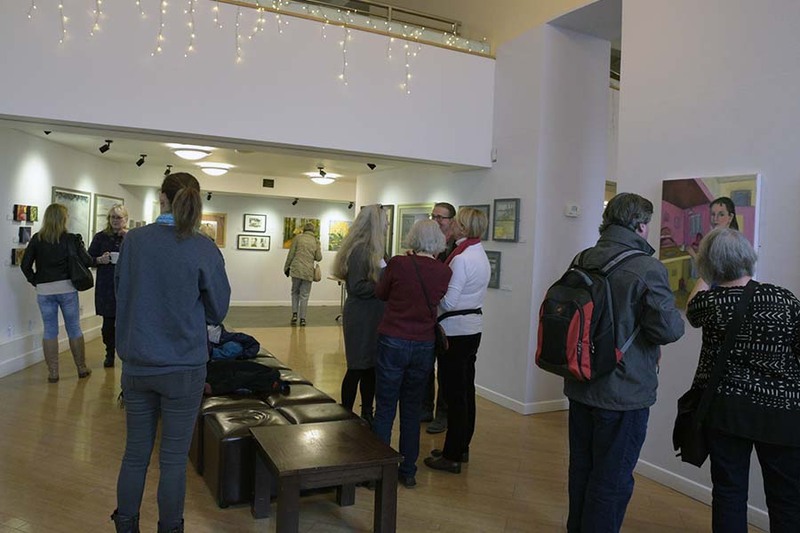 Artspace has existed since 1997 and has a long record of staging wonderful exhibitions which have been a part of my social and cultural calendar for about as long. The exhibitions in the old Generator Gallery on Granby Street always, for me, marked the beginning of summer. This exhibition has the theme Inside/Outside and has, as usual, produced a huge variety of interpretations from the 22 artists with work here. As I said earlier artists reflect more than just themselves, whether they are interpreting their internal or external experiences. Here today examples include a reminder of the temporary nature of our place on the earth with a vivid collection of images which show nature recovering space that which it had previously lost to human occupation. There is also a creative demonstration of the mess we are in with a display of materials which should only be kept inside the domestic sphere, outside in the open; a metaphor for our abuse of the environment. But also equally there is the revelatory experience of ‘simply’ taking indoor furniture into the outside space. We is also an affectionate human touch too in the portrayal of a pub scene which focusses both on the close intimate nature of a bar and the passing outside world. We can also see our weakness for trying to control our world through the ordering of a dolls house. 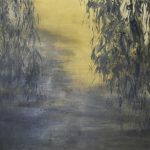 Several artists have interpreted their internal reflections though observations on the outside world, from looking through woodlands into a glade but also the haunting image of a winding river in an expansive landscape. Reflection is also many faceted and occasionally means exactly that with the exquisite capture of window reflections. Sometimes that inner reflection was intensely personal and thus focussed into a visceral portrayal. As for media we have watercolour, acrylic, fabric, photography, collage and so on: something for everyone as always at Artspace. 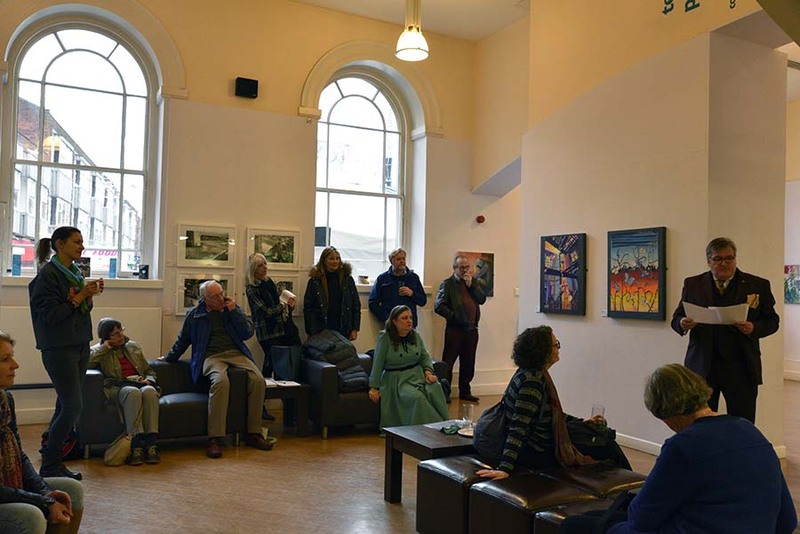 I have spoken long enough and there is art to appreciate in this room, and so without any further ado it gives me the greatest pleasure to declare this exhibition open and to congratulate all the contributors on their magnificent efforts!